Show them what you're all about. 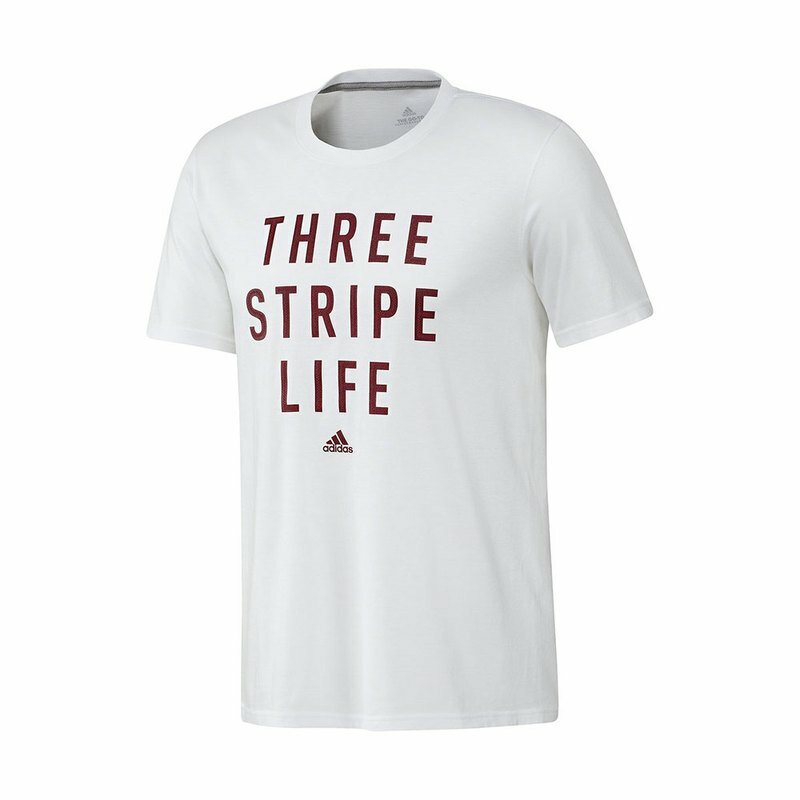 This t-shirt flashes a "Three Stripe Life" graphic on the front. Built for comfort as you move through your day, the moisture-wicking tee is made of soft cotton for a lightweight feel.